On March 10, 2014, as part of Endometriosis Awareness Month, Endofound co-founders Dr. Tamer Seckin and Padma Lakshmi spoke about endometriosis to a packed house at the 92nd Street Y on the Upper East Side of Manhattan. While Padma shared her personal struggle with the disease, Dr. Seckin spoke about the symptoms and available treatment methods for endometriosis. Members of the audience were given the opportunity to ask the co-founders personal and disease related questions. Afterwards, audience members had a chance to speak to both co-founders as the crowd mingled. Friends, colleagues, and patients, and the stars came out on Monday, April 13, 2015 to support and celebrate the work of the Endometriosis Foundation of America at its 7th Annual Blossom Ball, held at Cipriani’s - 25 Broadway. It was a wonderful and successful evening as Endofound raised over $215,000 through ticket sales, donations, an online CharityBuzz Auction, and the Endo Auction, led by renowned auctioneer Nicholas D. Lowry. The evening included musical performances by Red Baraat, as well as DJ Miles Guthrie. 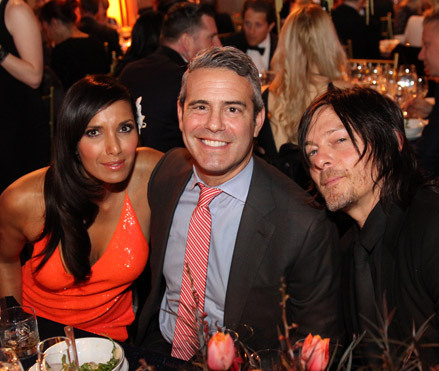 Guests, including Christian Slater, Norman Reedus, and Russell Simmons, danced the night away to show their support for endometriosis. We would like to thank all those who supported and attended the event! On Saturday, March 28th, endometriosis patients and their supporters participated in global endometriosis awareness events to end the silence surrounding the disease. To show our support, Endofound, along with Casey Berna, a licensed social worker and a highly engaged Endofound volunteer, organized to turn the TODAY Show Plaza yellow. 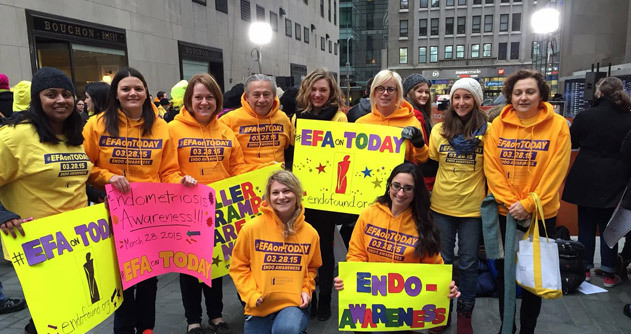 Dozens of supporters and endo patients dressed in yellow, and faced the cold to raise endometriosis awareness on national television. We were seen and heard! In addition to camera close-ups of Dr. Seckin and Endofound staff, Casey was featured during a plaza segment with NBC's Dylan Dreyer. This was the perfect ending to a successful Endometriosis Awareness Month! Endofound gathered friends on August 13, 2015 for a night of celebration, sharing, and art. 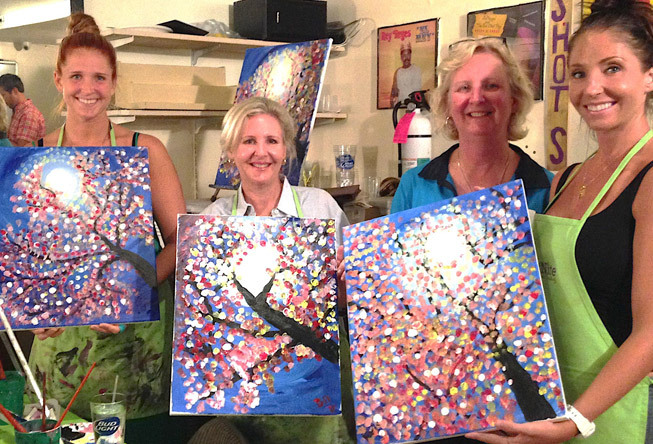 Attendees carefully followed Paint Nite instructors as they composed a cherry blossom scene on their canvases at Stone Creek Bar & Lounge in Manhattan. Attendees were able to purchase an “ENPOWR Sour” specialty cocktail at the event, with proceeds benefitting Endofound’s awareness efforts and The ENPOWR Project. The response to this event was enthusiastic, and Endofound hopes to host similar events in the future to give our friends and supporters an outlet to share their stories and, most importantly, have a good time! 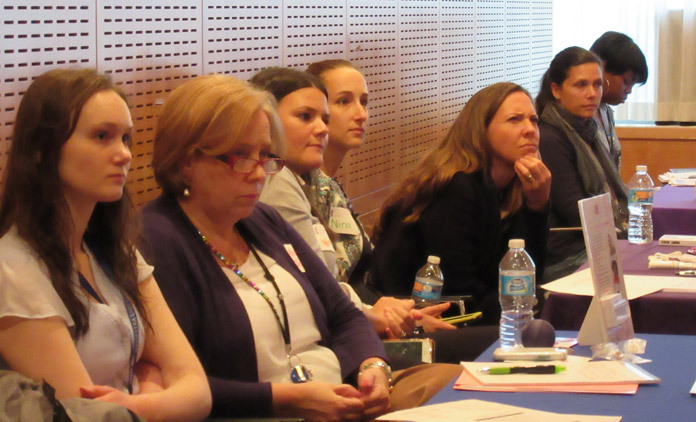 In collaboration with the NYU Langone Medical Center, Endofound hosted a Patient Information Session on October 2nd. This event allowed patients to direct their questions to a diverse field of clinicians whose specialties ranged from laparoscopic surgery, to pain management, to physical therapy. The importance of a ‘team approach’ to treatment was stressed throughout the evening. We would like to thank Dr. Kathy Huang and Dr. Betty Perez-Rivera for helping us make the night a success. We are excited for this new partnership, and anxious to see what it brings in the future.